Westminster and Embankment are your iconic ‘picture postcard’ London – the London that’s famous worldwide, with its bounty of landmarks like Big Ben, Houses of Parliament, Westminster Abbey and the sprawling banks of the river Thames to admire. It’s where Britophiles and curious tourists flock to sample quintessential Britain. You feel like you’re somewhere buzzing and important when you’re in Westminster; it’s the political decision making hub of the UK. So where better to do business or to host an event that catapults a brand to centre stage? Perhaps one of London’s most recognised venues is the House of Commons. Unrivalled in its political history it has been a British institution since the 11th Century and is just as impressive today as it has ever been. The House of Commons offers a choice of seven event rooms, with one of the most popular being The Churchill Room (aptly named as many of his paintings hang on the walls) which can seat up to 100 guests for breakfast, lunch or dinner. Recess dates have been announced with new availability between 18 September – 9 October. Ideally located opposite Westminster Abbey is the Grade II listed Central Hall Westminster. Well known as a film location and boasting Europe’s largest domed ceiling, the venue is quite a spectacle. In December 2014 the venue played host to a sold-out concert spectacular which saw Adam Lambert take to the stage with the almighty Queen, showcasing the venue’s vast versatility. With its 22-room portfolio and dedicated team of professionals Central Hall can accommodate between 100 and 2000. The grandiose Supreme Court of the United Kingdom sits amongst some of the most iconic sights in Great Britain, yet its Gothic architecture means it is impossible to overlook. Packed full with period features such as majestic ceilings, intricate carved beams and an abundance of exquisite stained glass, the venue is oozing with character. The Supreme Court accommodates up to 100 guests for a seated dinner and viewings of the court rooms and Law Library are available on request. A magnificent four-domed Edwardian building sits in the heart of London called One Great George Street, a stone’s throw from Parliament Square. The venue offers a choice of 19 event spaces for between 60 and 400 guests with many of them offering interconnecting doors, allowing you to combine a corporate event with social entertaining. 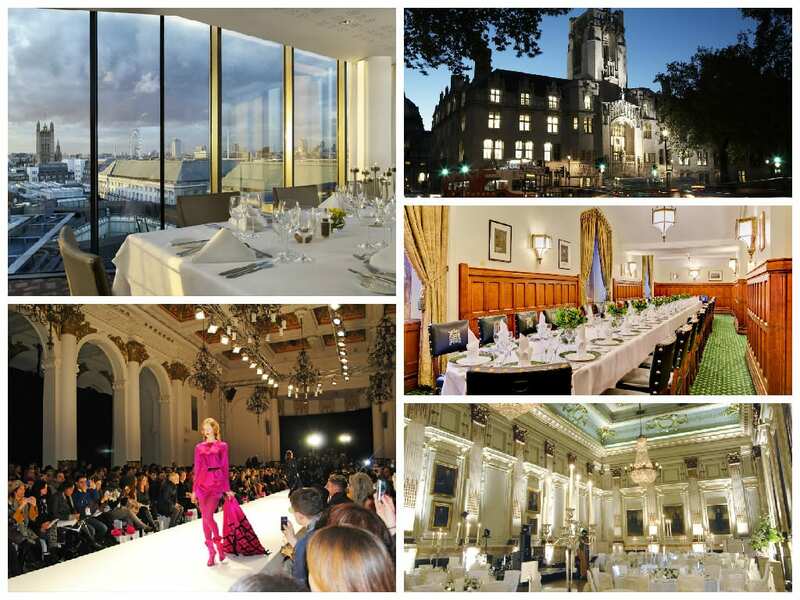 Few venues can boast a more central location than 8 Northumberland Avenue, just paces away from Trafalgar Square, however, the venue does not compromise space for location. Boasting a stunning ballroom which English Heritage has described as ‘the grandest example of a Victorian ballroom in existence’, with capacities of up to 500, in addition to five smaller meeting spaces, this Grade II listed building combines your practical needs seamlessly with outstanding aesthetics. Seasoned professionals in delivering proficient, effectual events such as press conferences and ministerial meetings, Broadway House is perfectly equipped to meet even the highest of standards. It sits adjacent to St James’s Park station and here technology is paramount throughout the venue, which offers 12 varying event spaces with tailored packages for up to 100 guests. A mere stone’s throw from Buckingham Palace is St James Court hotel, a discreet Victorian masterpiece radiating warmth and sophistication. St James Court offers 17 meeting and conference suites which all come with wireless internet, state-of-the-art technology and video conferencing making it the perfect place to hold a corporate event. If you are looking for a clean lined, ultra-modern, sophisticated events space then you need look no further than etc.venues at One Drummond Gate in Victoria. Easily accessible and sitting adjacent to Pimlico tube station, the venue is a perfect fit for meetings, conferences and corporate events. The largest space accommodates up to 250 guests and all spaces are equipped with high spec AV kits. Designed to create an engaging and comfortable environment, all the event spaces feature natural light, meaning your event remains as productive and inviting as possible. A venue that combines a flawless reputation for delivering incredible corporate events with the chance for some sunshine is the QEII Centre. The opportunities within this venue are truly vast and the beautiful interior ensures a slick and professional atmosphere at all times. When the sun does decide to make an appearance, the QEII Centre has some lovely outdoor space, including The Green at the front of the Centre, overlooking Westminster Abbey, where drinks and food can be served. The inside space can accommodate up to 1,300 people in the largest room and there is also a wide range of smaller rooms so you can choose the perfect space for your event, whether it’s an awards ceremony, a conference, a product launch or a sit-down dinner. 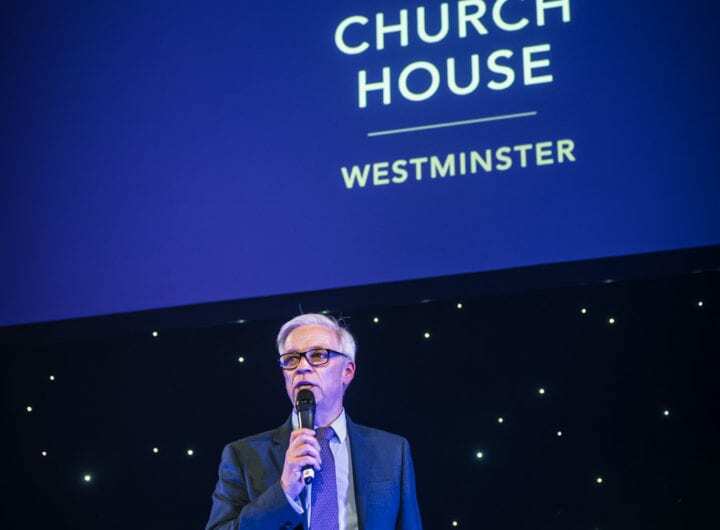 An award-winning venue with proven success hosting large scale events such as product launches and award ceremonies, Church House Conference Centre offers its guests a multitude of layout options and their state-of-the-art facilities means that creating the perfect staging, lighting and sound for your event is well within their capabilities. The event spaces can hold more than 600 people and clients can choose from 19 spaces. St James Theatre holds the title for being the first newly built theatre complex in central London for nearly 30 years. Despite being in its infancy (in theatre terms) the venue has a fantastic reputation and provides a creative and unusual backdrop for many types of event. St James Theatre can accommodate up to 312 guests and the live entertainment space provides an intimate setting for team building days, product launches, small presentations, away days or creative workshops. Take advantage of a Laurent Perrier Champagne reception with 20% off for all events booked before the end of July. A central London hotel boasting everything (and more) that you would expect from the luxury brand, Conrad London St James guarantees high end execution for all their events. If your event calls for something a little quirkier, then the Emmeline Lounge could tick all your boxes. Named after the 19th Century British political activist Emmeline Pankhurst and showcasing mind-warping, multi-dimensional art, the lounge is ideal for intimate or relaxed business meetings and brainstorms, especially if you love a themed afternoon tea. An extensive £30 million pound investment has transformed the four star St Ermin’s Hotel into a contemporary and stylish location for a variety of different events. Priding itself on professional and efficient service, the venue boasts 15 event spaces including three Caxton environments and the antique, book-lined Library. Accommodating a multitude of needs, DoubleTree by Hilton sits a walkable distance from both quirky, creative South Bank and London’s financial district. A clever mix of state-of-the-art technology and contemporary comfort, DoubleTree by Hilton truly has something for all. They offer customisable event spaces for up to 200 guests, with a logistics team on site to ensure your event runs without a glitch.